With the support of customers using international calling services, Asian Net has been able to grow as a company to where we stand today. We are a global organization comprising staff from over 10 countries, and our overseas offices now extend as far as Taiwan, Indonesia, Thailand, and Vietnam. Everyday, we are accumulating know-how from various countries. We take pride in the speed, support, and technological development we provide. Our managment principle is to contribute to the development of world culture by enhancing the quality of people's daily lives throughout our high-quality products and services. Moving forward, we would like to continue achieving this goal by making utmost efforts to be the company selected by customers. We appreciate your continued support and understanding. Mizuho Bank, Sumitomo Mitsui Bank Corporation, Resona Bank, The Bank of Mitsubishi-Tokyo UFJ, Ltd.
Business Net Co., Ltd. is established. Mobile phone overseas rental business is launched. International telephone business is launched. Japan-Taiwan leased line is set up. Japan-USA leased line is set up. Large-scale communication switchboard is implemented. Voice service business is launched. Communication software development business is launched. 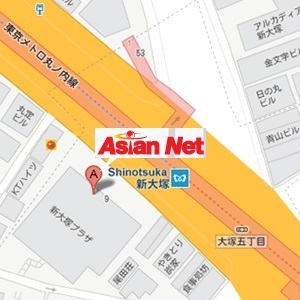 Japan-Hong Kong leased line is set up. IP network system is implemented. Flat-rate communications business using Taiwan-Korea-Japan international telephone exlusive IP connection is launched. ADSL/optical fiber sales agency business is launched. ice wholesale business is launched. 1-minute walk from Shin-Otsuka Station on the Tokyo Metro Marunouchi Line. 9-minutes walk from Otsuka Station on the JR Yamanote Line.